Opening a new hotel is both a big challenge and a big opportunity. Not only do you have to make sure all the systems and services on the property are working properly, you also must train a completely new staff of people who have never worked together before. But the opening is the best opportunity you'll get to generate “buzz” about the hotel among potential customers and in the media. People are naturally curious about any new business in their area. The newness of the hotel itself is a draw; people enjoy trying out a hotel when all the rooms and amenities are brand new. The marketing of a property begins the moment you break ground for construction. People driving or walking by will be curious about what's being built there. Simple signage announcing when the property is opening -- “Coming soon …” -- can be very effective in answering their questions and stoking their curiosity. Change the signage at regular intervals during construction to show what is new and different about the hotel. If the hotel will feature fine dining, for example, include pictures of the cuisine that guests will enjoy. If there will be spa amenities, show them. Make sure there is a phone number, website or both where people people can get more information. 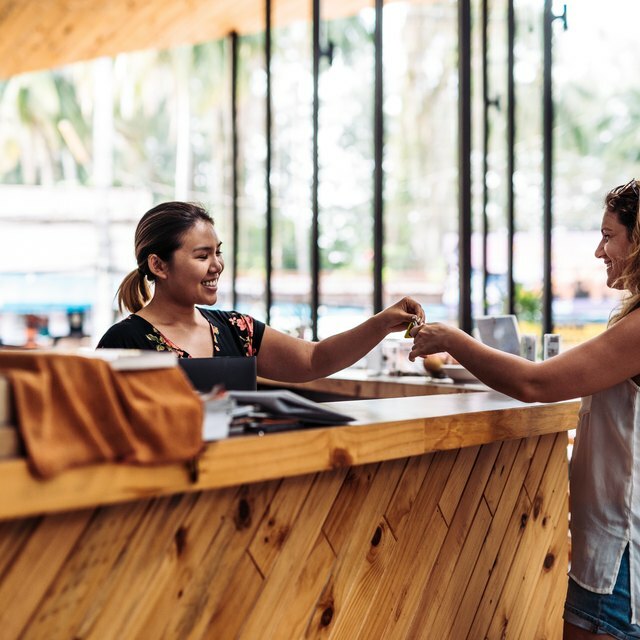 Many hotel managers opt to quietly open their property, test the staff and the systems, and make sure everything is running smoothly before welcoming large numbers of guests. This "soft opening," coming in advance of the grand opening, is a promotional opportunity. Send out invitations for a free dinner at the hotel’s restaurant, or free drinks at the bar. Make these invitees feel like VIPs, and you will start to generate word-of-mouth publicity for the hotel. And you have just created a group of possible repeat customers. If your hotel will cater to business travelers, send discount coupons to local businesses within a 1- or 2-mile radius. Encourage them to visit the property so they will recommend the hotel to associates who are visiting on business. Local businesses can also be important customers for the hotel’s banquet and meeting rooms. Have the hotel’s marketing director begin contacting businesses well before the property opens and start selling them on why they should choose your hotel for their next meeting. What Is a Restaurant Soft Opening? You need to do more than send out press releases. Your goal is to get members of the news media to visit the property and do feature stories about it. Prepare key staff members on how to express the best attributes of the hotel to reporters who visit. Take reporters on a tour, and offer them interesting sound bites and anecdotes. They'll appreciate anything that makes it easier to prepare the story. When you are certain the property is functioning efficiently, you are ready for your grand opening events and promotions. You need a series of these to keep the publicity momentum going. Consider throwing a party and inviting local radio and TV stations to broadcast live at the party. You could also work with local radio stations to offer drawings for free room nights or free dinners. Advertising on radio can be a cost-effective means of generating excitement as well.